An easily tailored and scalable approach for management of all project types, PRINCE2® is widely used in both the private and public sectors, worldwide. Because the PRINCE2® method is in the public domain, it has the ability to offer generic best practice guidance for Project Management. This PRINCE2® online course will prepare students for the PRINCE2® Foundation and Practitioner exams. PRINCE2® is the best practice for formal project management and by taking this course, delegates will learn the different methods, themes and practices that will allow them to become an effective project manager. With the demand for PRINCE2® continuously increasing, there is no better time to gain a valuable PRINCE2® certification and enhance your employability. You will develop a thorough understanding of the knowledge, principles and techniques involved in the practice of project management in a stimulating and challenging environment. Once certified, you’ll be qualified for jobs such as PMO Co-ordinator and Project Manager, earning an average salary of £22K - £65 K per year (source: itjobswatch.co.uk, UK Only). The great thing about our PRINCE2® online course is that you are in charge of your start and finish date, with no dead line pressures! Both PRINCE2 online courses are fully accredited and follow the latest 2017 syllabus. We train our students to the very best standards, offering expert instructor-led training via our state of the art e-Learning platform. Adding these qualifications to your CV will greatly broaden your career prospects and significantly improve your earning potential with current or future employers. Online study material can also be viewed and revised as many times as the student needs, which contributes to long-term memory retention. These factors, in addition to the fact that online training courses are often more cost-effective than the on-site alternative, make online study an appealing option to students today. Accredited PRINCE2® training is provided by Sianti Management Systems Limited, accredited by APM Group Limited Examination Institute. PRINCE2® is a registered trade mark of AXELOS Limited, used under permission of AXELOS Limited. All rights reserved. Ideal for those who are looking to embark on a project management career or are already in project management and require certifications to enhance their CV. To make life easier, we can help you find an appropriate exam centre and give you all the information you need to secure your place. Please note: exam fees aren’t included in the course price. For latest PRINCE2 exam prices, please contact us today, our friendly course advisors are waiting to hear from you. The PRINCE2 project management methodology is the de-facto standard for project management in the UK and is practiced worldwide. It covers the management, control and organisation of a project. A qualification in PRINCE2 will not only boost your skills and confidence when managing projects but will greatly improve your employment prospects. Many organisations, both private and public, mandate the use of PRINCE2 and therefore require their staff to be competent and qualified to practice the method. What are the formats of both PRINCE2 exams? The PRINCE2 Foundation exam consists of 60 questions and you will have 60 minutes in which to complete the exam. The pass mark for the PRINCE2 Foundation exam is 55% (33 marks required out of 60 available). The PRINCE2 Practitioner exam is presented in an objective testing format. You will be given 2.5 hours (150 minutes) to complete this exam and the pass mark is 55%. Can I take both the PRINCE2 Foundation and Practitioner exams on the same day? No. It is not possible to write both exams on the same day as you need to pass the PRINCE2 Foundation exam before studying the PRINCE2 Practitioner course. How long are the PRINCE2 certifications valid for? The PRINCE2 Foundation never expires. PRINCE2 Practitioners will remain registered for three calendar years. 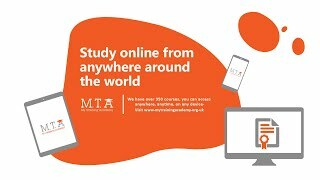 Can I take my PRINCE2 exams online? Yes. You can either take your PRINCE2 Foundation or Practitioner exam online at home using a webcam or at an exam centre. For more information, please visit https://sianti.co.uk/faqs/. Our courses are fully flexible, with no start dates or deadlines. You can complete your training in a short, intensive burst, or spread your learning out long-term - you'll have a year to complete your studies. In these roles, the average salary you can earn is £50,000.00 per year (source: itjobswatch.co.uk, UK Only). IT Jobs Watch provides a unique perspective on today's information technology job market. Their aim is to present a concise and accurate map of the prevailing UK IT job market conditions. Getting a PRINCE2 certification will always help you stand out from the crowd, now and in the future - whether you're just starting out, developing your career, or changing direction entirely. The Project Management Talent GAP report produced by PMI suggests that 15.7 million new project management roles will be created globally by 2020. The rapid growth of demand for project management roles and the exceptional salary levels in the profession make the project management profession highly desirable to job seekers.